A South African pensioner has died while waiting in a queue to buy tickets for the soccer World Cup, with people lining up for 20 hours in some cases and system problems causing further delays. Cape Town police spokesperson Ezra October confirmed to CNN that 64-year-old Ralph van Heerden collapsed and died while waiting to purchase 11 World Cup tickets on Thursday morning, CNN International reports. 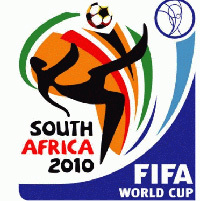 Around 120,000 of the tickets are available to South Africans for $20, the lowest price at a World Cup for many years. Ticket sales in South Africa had been below expectations until recently and soccer's governing body FIFA was criticized for selling them in a complex system over the internet which was alien to poor black soccer fans accustomed to getting tickets for cash on match days. Officials acknowledged mistakes had been made and launched a new system of sales through ticketing offices and supermarkets on Thursday, hoping to sell out the tournament after disappointing overseas sales and returned tickets, Reuters informs.